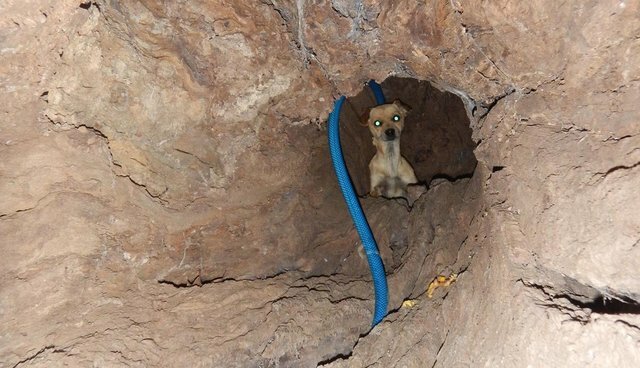 A frightened little dog who had taken up refuge in a hollow tree after being abandoned in the woods has been rescued from her sad life of solitude. Now, slowly but surely, she's learning that it's safe to trust again. Authorities were alerted to the dog living in a remote part of Sonoma County, California, apparently left behind by her cruel former owner. "She was probably just dumped out in the area, far from any houses. 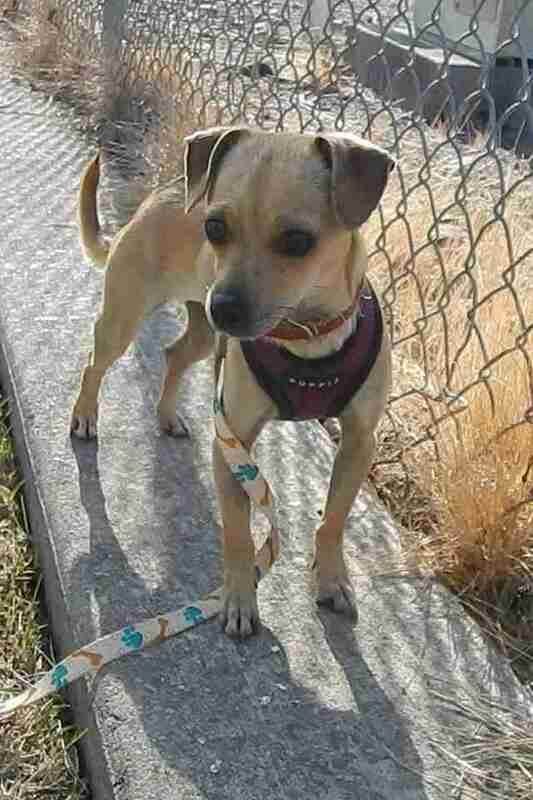 We see a lot of pets abandoned like that," animal control officer Shirley Zindler told The Dodo. "Poor baby. She was like a wild little creature out there, trying to survive." It's unknown how long the dog, named Boo, had been left to fend for herself, but she likely wouldn't have persisted much longer. 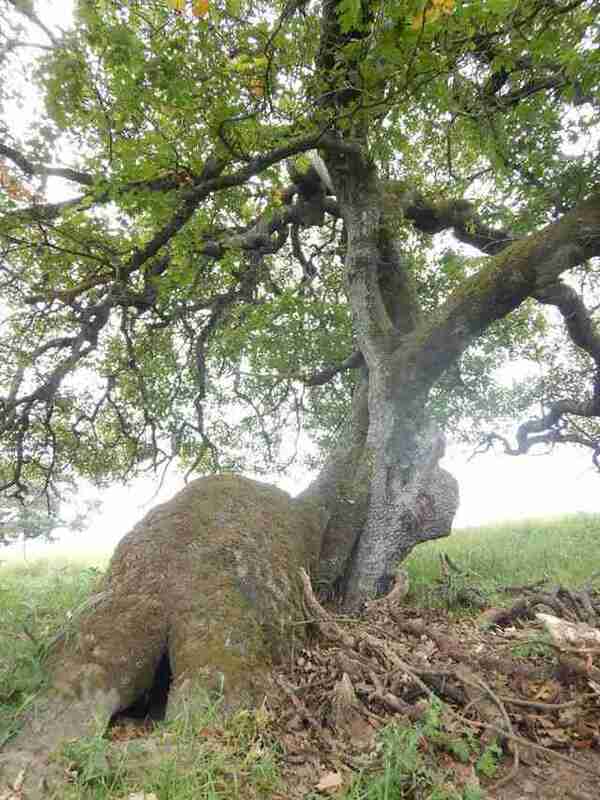 While the hollow tree she was living in shielded her from the elements, it was clear that she was starving. When Zindler and her partner arrived to help, Boo fled to the safety of her hollow tree. "She was scared to death - not used to people. It was a desperate situation, and we knew we had to get her out of there as quickly as we could," Zindler said. It took about an hour for the two officers to coax the dog out of her hiding place, nudging her toward the entrance of the tree with a garden hose until she was close enough to be captured. 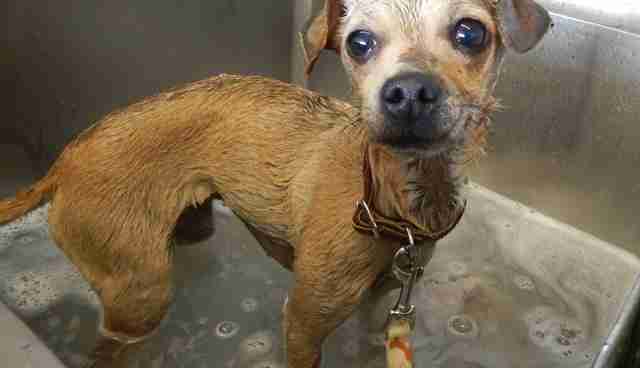 Even after being fed and bathed, the little dog was initially very wary of her rescuers. Zindler believes Boo hasn't had loving contact since she was a puppy, but she is gradually learning to trust again. The animal control officer has made it her mission to help Boo come out of her shell. "She's fostered with me now and is starting to learn that people are OK," Zindler said. "It's been very slow, but she's making progress. We measure our successes in the tiniest little increments, but they're coming." Boo still has a long road of socialization ahead of her, but Zindler is hopeful that she can go on to live a happy life as a beloved pet. "We will be able to find a home for her. It's not going to be easy, but I'm optimistic since we are seeing progress," she said. "She'll make someone a good companion if we can find the right match. I will foster her until the right match is made. It's going to take someone very patient. She's going to learn to bond with people, but it might take some time." To follow Boo on her journey, or to learn about future adoptions, follow Shirley Zindler on Facebook.